Want to read this entire story? Read the entire saga on Comixology now! 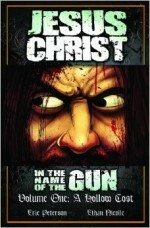 All 3 Books on Comixology! You can read this entire comic digitally on your mobile devices! The third and final volume– the conclusion this almost 400 page adventure through time– hits Comixology on October 1st! 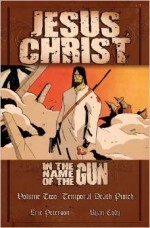 You can read Volume 1 of this book on Comixology as of today! Digital comics! 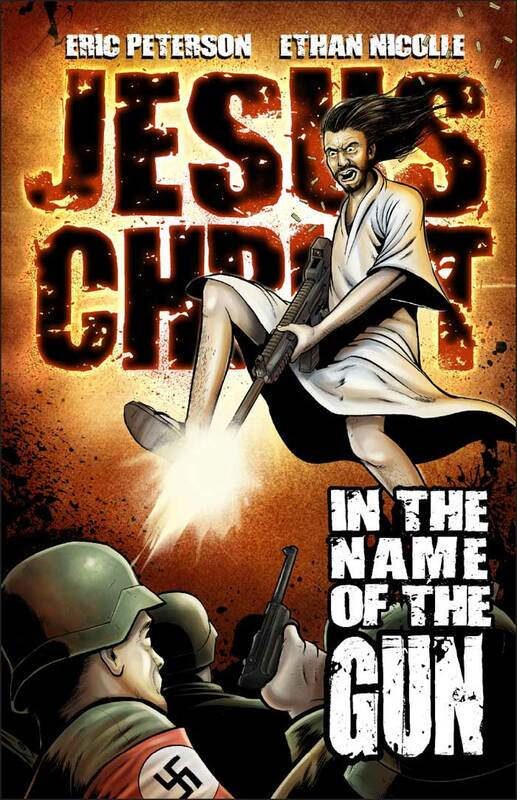 Welcome to JESUS CHRIST: IN THE NAME OF THE GUN… A 450 page comic book totaling 3 graphic novels spanning 7 years of work or more. At one point we had 25,000 visitors checking out this little comic. As of now, the comic has been finished for over a year. And so we are keeping up the first few pages of the comic as a free demo to show new visitors what the book is all about. The comic spanned 3 different artists. 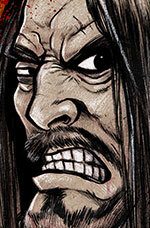 Book 1 had art by Ethan Nicolle (Axe Cop). Book 2 had art by Ryan Cody (Charlie Sheen: Savior of the Universe). Book 3 had art by Gabo (Space Bastards issue 1 and 2, and Life After by Oni Press). Space Bastards is a new monthly comic hitting store shelves this year, and featuring a slew of top talent artists. It is by far the best thing Eric has ever written. Want to read all of Jesus? Buy the books on Amazon, and stay tuned to this page to find out how you can buy all 3 books on Comixology.